Hello darling, it’s THE RIDE here with news from New York Fashion Week, which (like me!) is one of the top things to see in New York this month. 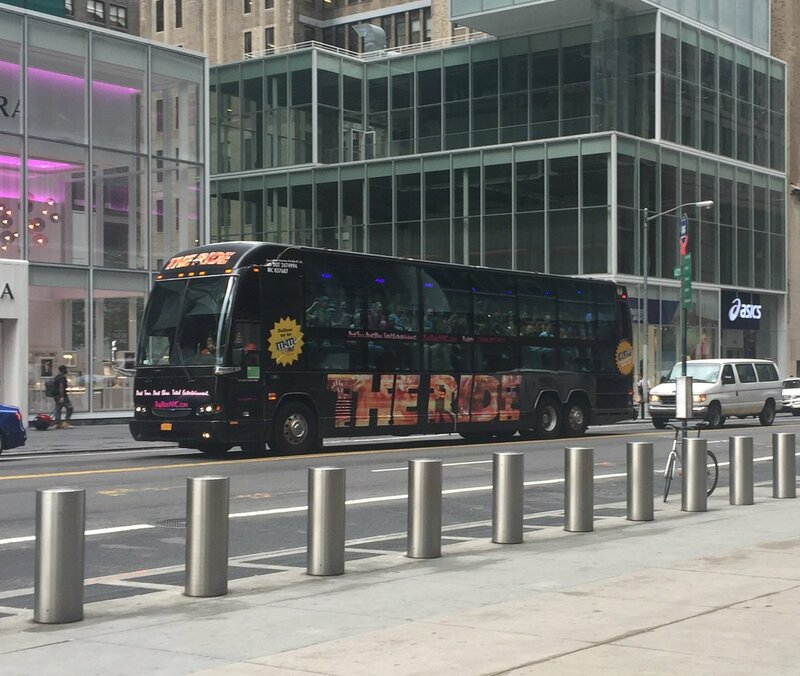 I know, I know, you’re surprised that a sightseeing bus—even a fully-loaded, award-winning, multi-million dollar motor coach like me—knows anything about fashion. But NYC is a see and be-seen kind of town and I’ve learned a lot about keeping up with the trends by watching all the fashionable folk on the streets of Manhattan. And sometimes, those fashionistas come to me, as you can see in this video of couture models riding THE RIDE. Let Your Sequins Shine – This autumn, those in the know are all about eveningwear for day. So go ahead, enjoy plenty of embellishments and flaunt those sequins—THE RIDE’s ballerina shows you how it’s done! Embrace Athleisure – The trend inspired by athletic clothing is everywhere. I think that’s a great thing, because it’s good to be comfortable at all times. After all, you never know when you’ll be inspired to do some break dancing. Wear Black. It’s official: black is the new black this season, which is, of course, why it is the color I like to wear. Once you’ve got your outfit together, it’s time to show it off and THE RIDE is the perfect place to do that! My floor-to-ceiling windows will ensure that everyone in town can admire your OOTD. So c’mon and get your tickets now—it’s the fashionable thing to do!